I'm not much into ablutions, let me tell you that right now. With all my constant traveling, it's really not advisable to be high-maintenance. But, recently, when I began taking fewer adventures (because money, that's why), I finally had the time to examine what traveling had done to my body. My diagnosis: I've gotten significantly a lot less fairer – as evidenced by my two-toned (three-toned on some parts) skin. 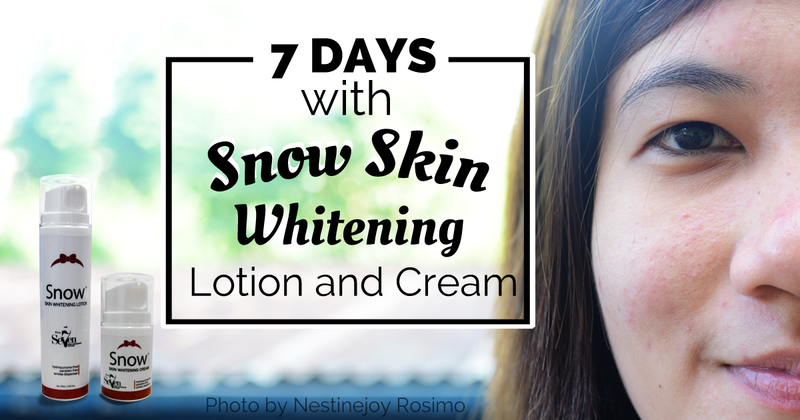 So, when opportunity to try Vida Nutriscience's Snow Skin Whitening Lotion and Cream had presented itself, I didn't hesitate to do it. There's an ounce of vanity left in my system, turns out. In any event, this line of body care products by Vida Nutriscience boasts of SEVEN Elite Active Whitening Ingredients. 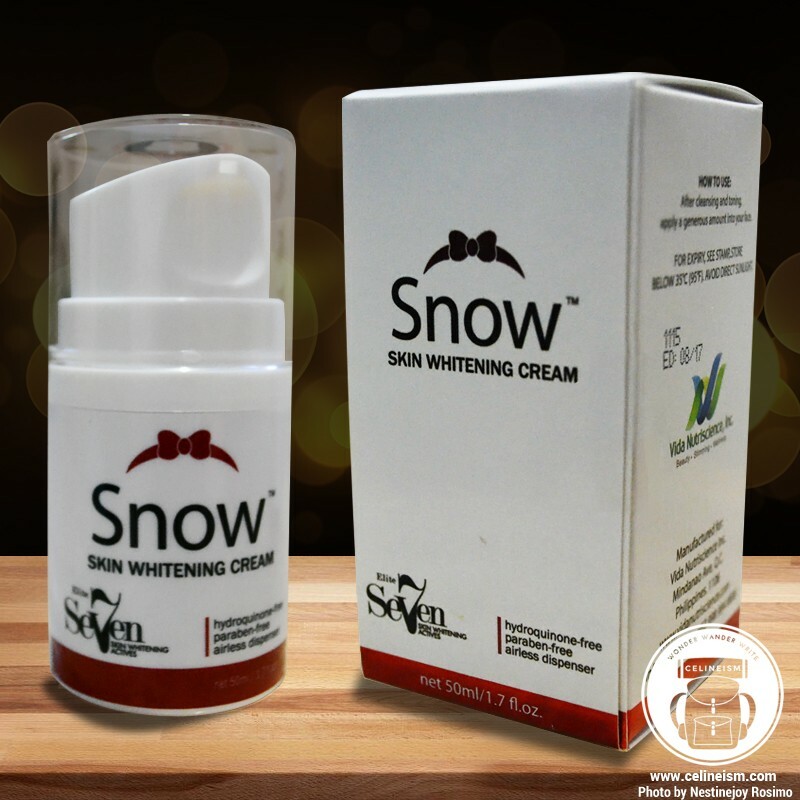 Snow Skin Whitening Lotion and Cream have high concentrations of all of these. Point of clarification: not high as in high to the point of being dangerous, but high as in the recommended formulation for skin whitening. To elucidate, the recommended concentration for Alpha Arbutin – a highly effective albeit expensive (averaging at Php125,000/liter) skin whitening ingredient – to achieve fairer skin is 2%. While other manufacturers, to have a larger profit margin, use as little as 0.01% of this substance and mix it with cheaper actives such as papaine and Kojic Acid, Snow Skin Whitening Cream and Lotion has exactly 2% of Alpha Arbutin, as well as all the recommended concentration of the other six active ingredients. The other actives present in Snow Skin, by the way, are Alpaflor® Gigawhite™, a skin lightener developed from Alpine plants that can even out skin tone as well as reduce color intensity of age spots; IBR-Snowflake® which has anti-ageing properties; SymGlucan® which is an excellent moisturizer; SymWhite® – a potent skin whitener developed for Asian skin; Melfade®-J – an aqueous extract derived from bearberry, effective for depigmenting skin; and IBR-Phyto(flu)ene® Colorless Carotenoids that provide protection from UV and oxidation damage. 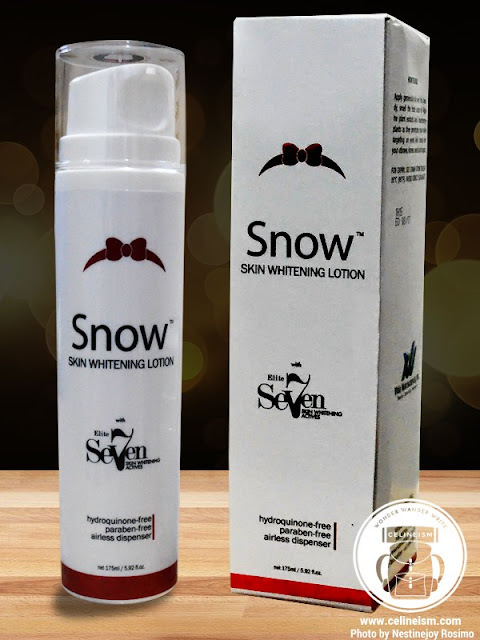 According to its formulation, not only does Snow Skin Whitening Lotion and Cream lighten skin, it also protects it from pre-mature aging. But enough about the science behind these products (but, Science is cool, don't get me wrong). Let's see if it delivers. To give my beloved readers an objective perception, here's what I did: I actually tried the products for seven days before writing this post. See, the most tan-lined area of my body are my feet, probably from my habit of wearing sandals all the time. So, these became my main area of focus. But I did use the product on my entire body. As for my face, I am pimply, okay? I don't have clear, baby-soft skin – on the face, at least. The lighting is a bit off, but you can see the noticeable whitening especially on the upper part. Also, I apologize for my weird-looking feet. As for the photo of my face, well... I skipped three nights for the cream, because I was so tired and sleepy. Plus, I went on a motorcycle road trip with a friend, so... yeah. Nonetheless, my face doesn't appear darker nor lighter as far as I can tell. But it does seem a bit more rosy. Here are my observations, streamlined so it'll be easier for all of us. The mechanism of the nozzle is a bit tricky. I had a hard time getting the product out. I'm still using the products, up to now, and will continue to do so until they run out. And then decide later if I'll use them permanently. I will post more pictures for updates. Also, my skin didn't have any unfavorable reactions to the products. My skin is basically the same as it was, only a bit lighter. But if you have sensitive skin, please consult a dermatologist before using these products – or any products, for that matter. Manufactured by Vida Nutriscience Inc.